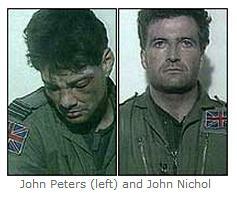 Squadron Leader John Peters (born 1961) is a former pilot of the British Royal Air Force. Flight Lieutenant Adrian John Nichol (born December 1963, North Shields) is a retired Royal Air Force navigator. Their aircraft was shot down and they were captured by Iraqi forces during the first Gulf War. 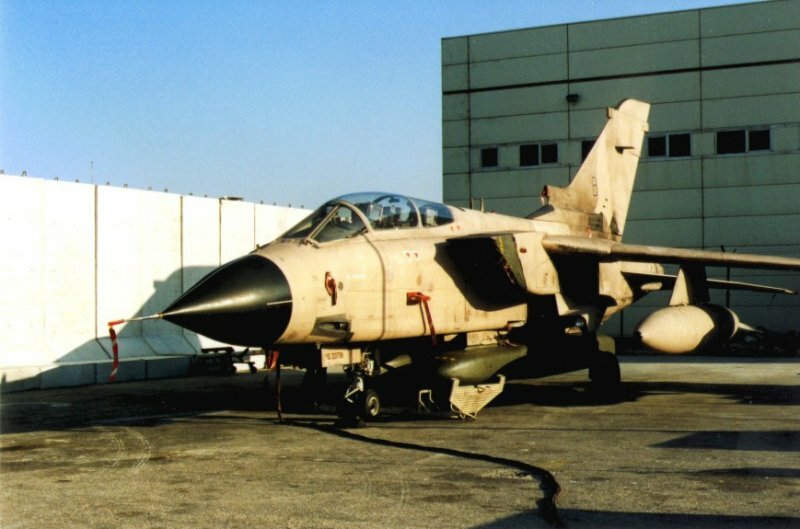 On Peters’ and Nichol’s first mission during Operation Desert Storm on 17 January 1991 which started at Muharraq Airfield, an ultra-low level daylight mission on Ar Rumaylah airfield, while acting as number two to Squadron Leader Paul “Pablo” Mason with RAF Laarbruch-based XV Squadron, their Panavia Tornado ZD791 was critically hit by a shoulder-launched SAM SA-14, and they were both captured by the military of Iraq. After capture they were shown, bruised, on Iraqi television. They were tortured in the Abu Ghraib prison. On repatriation by the Red Cross, Nichol co-authored a book, Tornado Down, with his pilot John Peters, about this experience. They were held for 47 days. Notes: Squadron Leader is the equivalent of a Lieutenant Commander in the US Navy and Major in the US Air Force. Flight Lieutenant is the equivalent of a Lieutenant in the US Navy and a Captain in the US Air Force. I hear ya HD. I had much the same reaction at the time.